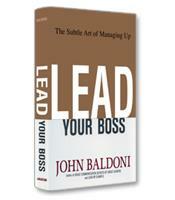 Throughout history, leaders have used solitude to lead with courage, creativity and strength. Raymond Kethledge and Michael Erwin show how solitude can enhance clarity, spur creativity, sustain emotional balance and generate the moral courage necessary to overcome adversity and criticism. 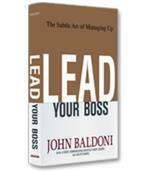 Lead Yourself First is a rallying cry to reclaim solitude and all of its benefits. 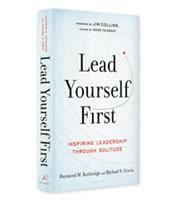 Before leaders can be successful in leading others, argue authors Raymond Kethledge and Michael Erwin in their book Lead Yourself First: Inspiring Leadership Through Solitude, they must first be able to lead themselves. And specifically, they must ensure that they decide and act with clarity in all situations, that they know how to develop their own creativity, that they maintain their emotional balance and that they act with sustained moral courage. However, Lead Yourself First is not only about the importance of focusing on yourself before focusing on others; it is also about the best method or habit through which you can achieve this self-leadership: solitude. The authors note that in this age of 24/7 connectivity, true solitude is more rare than ever before. Yet, through multiple stories of leaders both famous and unknown, the authors make a compelling case for the importance of somehow finding the time for undisturbed reflection. One of the many compelling stories of the power of solitude is the Vietnam War story of army captain Howard Prince, told in a chapter on clarity. During the Tet offensive, Prince (who would eventually retire as a brigadier general) received orders to attack a North Vietnamese Army position. He gathered his four platoon leaders (three of the four were sergeants because the lieutenants who had formally led the platoons had been killed in a recent battle) and communicated the orders. He then dismissed the group. A few minutes later, the sole lieutenant among the platoon leaders returned to the tent and quietly told Prince, “Sir, they won’t go.” The men were refusing to follow the orders. Frustrated by this unexpected and unprecedented crisis of leadership, Prince became extremely angry and was ready to march over to the men and tell them in no uncertain terms what he thought of their refusal. “But for some reason,” Prince tells the authors, “I controlled that.” Instead of confronting the men, he says, “I stomped around in the woods by myself for about a half hour. Just inside our perimeter, with darkness setting in. Trying to gather my thoughts.” Eventually, his anger subsided, and he decided on a different course of action: Instead of yelling at the men, he would try to have a conversation with them. That conversation revealed the men’s concern about the tactics of the attacks — specifically crossing rice paddies abreast instead of single file. The plan seemed suicidal and, as one of the enlisted men said honestly, aimed solely at helping Prince get a medal. Calmly, Prince explained the reason for the tactic, drawing in the dirt the full plan of the attack with the other companies in the battalion. For Prince, the fact that the men would lead the attack the next day was not the only outcome of his decision to spend some time alone. If he had dressed down the men as he intended, he told the authors, he is convinced that he, like others before him, would have been “fragged” during the night, that is, one of the men would have rolled a live grenade in his tent. The breadth of the stories in this book reflects the breadth of the two authors’ experiences. Kethledge is a judge, a former law clerk to Justice Anthony Kennedy and the founder of his own firm. Erwin is a graduate of West Point who was deployed twice to Afghanistan and once to Iraq, and is the co-founder of several non-profits. The stories include chapter-length descriptions of famous leaders reflecting in solitude, such as Dwight Eisenhower, finding every opportunity he could during World War II to write alone in order to achieve “analytical clarity”; a bedridden Lawrence of Arabia finding the creative answer to the war on the Arabia front; and Burmese leader Aung San Suu Kyi, who maintained her emotional balance through years of house arrest. 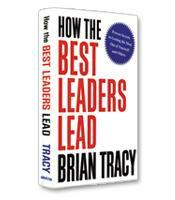 However, there are also scores of stories from unknown leaders. Jaya Vadlamudi, senior communications officer for an aid agency in Libya, and Tim Hall, coach of the premier U.S. college cycling team, are just two of the many unexpected examples in this inspiring and unique addition to the leadership canon.